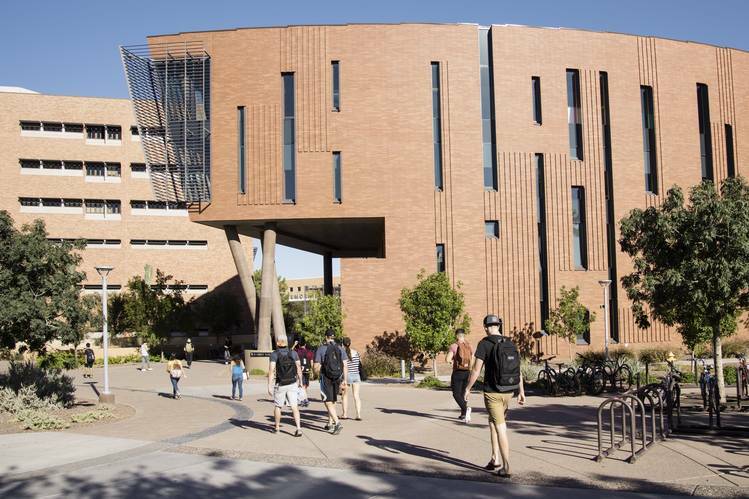 One program at Arizona State University’s business school has a brand-new price tag: $0. Starting next fall, the W. P. Carey School of Business plans to offer full scholarships to all incoming full-time M.B.A. students. The goal is to attract students with nontraditional backgrounds and career aims, and kick off a new business curriculum, leaders say. School leaders realized the sticker price for the two-year M.B.A. program—which runs from $54,000 for in-state residents to $90,000 for international students—deterred students who were interested in pursuing careers in nonprofits or those who felt they couldn’t afford the opportunity cost of attending. They wondered what would happen if the cost of attendance were no longer a barrier. So they turned to a $50 million donation given in 2003 from real-estate mogul and philanthropist William Carey. That money had been put toward recruiting new faculty, but Ms. Hillman said her administration agreed it was time to spend the money on students. The business school enrolls more than 13,500 students in total, including more than 12,000 undergraduates and nearly 800 students in its portfolio of M.B.A. programs, which includes part-time and online degrees. The scholarships have presented Carey with a business dilemma of its own—explaining the decision to current M.B.A. students, who are stuck paying for their degrees. The school has held town-hall meetings to solicit students’ feedback, and reaction has been largely positive, Ms. Hillman said. “Would I rather not pay tuition? Sure,” said Ryan Butler, a second-year M.B.A. student who said he provided input for the curriculum redesign. “But I’m excited about the direction of the program,” he added. Some law schools have expanded scholarships or slashed tuition partly to offset the tough job market for their graduates, but job placement for b-school grads has been robust recently. To some extent, the scholarships are in keeping with Arizona State’s reputation for maverick moves in higher education. The university recently took over the troubled Thunderbird School of Global Management and has teamed with Starbucks Corp.to provide free online degrees for some of the coffee chain’s employees.